Pre and post roll punch-in records under previous media. What is Auto Punch and how should I use it? 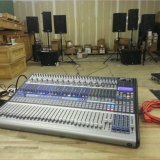 How do you go about setting Up for a mix in Studio One?